Mrs Muir was in this morning for our Kodaly session. She brought along Mr Snappy to help us sing high and low. 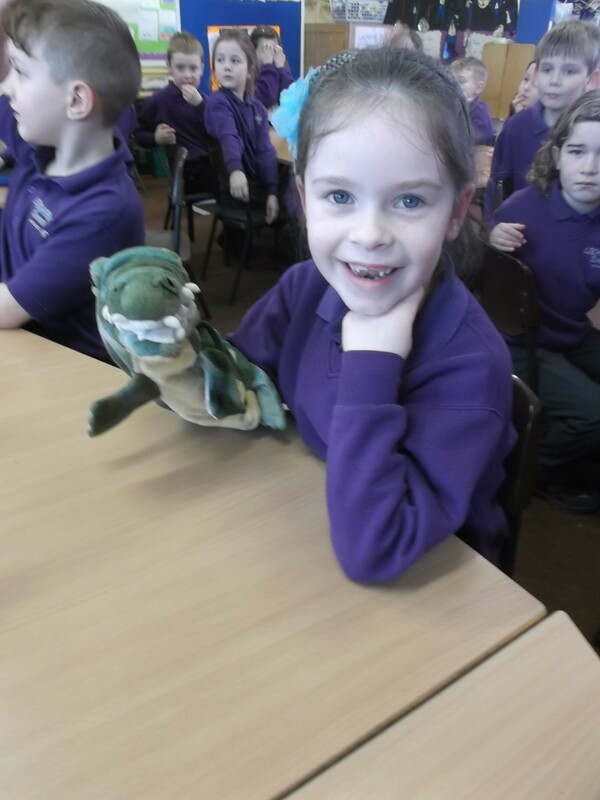 Emily was one of the people chosen to help Mr Snappy sing! This entry was posted in Uncategorized on February 23, 2015 by lochardilp3blog. Singing with Mrs Muir is one of my FAVOURITE things to do, you are so lucky! I would love to come to hear you singing next week- call for me! !